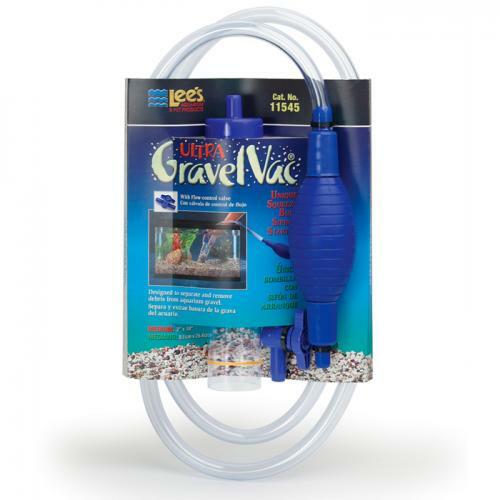 Brief Description: Water changes are a SNAP with Lee's New Squeeze-Bulb Ultra GravelVac®! The Squeeze-bulb is so efficient, that siphoning is easy no matter what the level of water in the aquarium. It is also equipped with an Easy On/OFF water control valve. Notify me when "Lee's Squeeze Bulb Ultra GravelVac With Control Valve [2 in. x 10 in.]" is re-stocked. In addition to the standard features, this product is equipped with an Easy On/OFF water control valve.